Former EY Scottish entrepreneur of the year David Lamont has been unveiled as the new chairman of north-east subsea company Rovop. Mr Lamont, who achieved his prestigious EY title in 2013, has been a non-executive director at Rovop, which has its headquarters in Westhill near Aberdeen, since November. He boasts more than 35 years in the oil and gas sector, starting at oilfield services company Schlumberger and ending up as chief executive of Westhill-based controls technology firm Proserv. 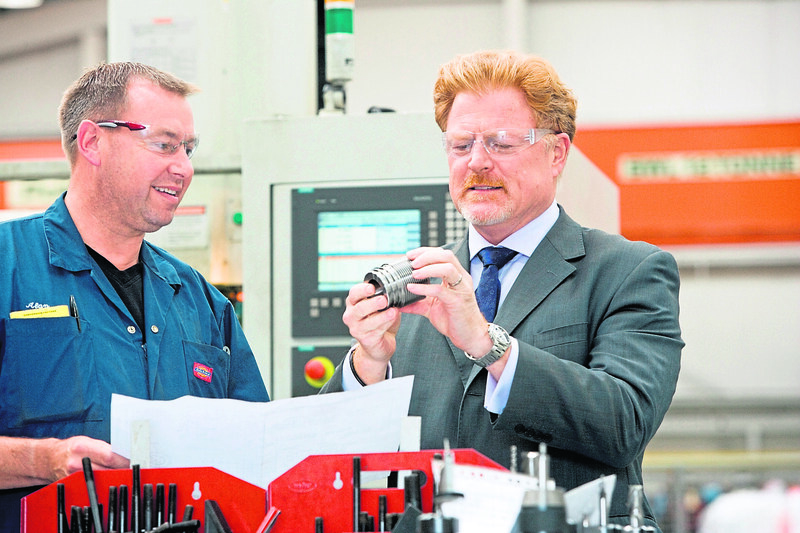 Mr Lamont, 58, is also on the board of the Aberdeen-based Oil and Gas Innovation Centre. which saw the firm taken over by its two largest lenders. Rovop was founded in 2011 by chief executive Steven Gray, former chairman Mark Vorenkamp, who left the company in December 2017, and Scott Freeland, who was technical director before moving to Ecosse Subsea Systems in October 2012. The firm specialises in remotely operated vehicle (ROV) services for the oil and gas, offshore wind, telecoms and power transmission industries. It has operations in Westhill and Houston, in the US, backed by investors including the Business Growth Fund and London-based private equity firm Blue Water Energy. Mr Lamont’s appointment was announced alongside news that Lee Wilson has joined Rovop, from Subsea 7, in the newly created role of head of technology. Mr Wilson’s background is in subsea robotics. As ROV and autonomy programme manager at Subsea 7, he led several remote technology projects and played a key role in developing a new autonomous inspection vehicle. Kevin Lyon, who was chairman after Mr Vorenkamp, and non executive director Ken McHattie have both stepped down from Rovop’s board. Mr Lyon said: “Rovop has evolved from the successful niche player in 2015 to one of the leading operators in the ROV and subsea robotics market. “This has been achieved by focusing on the quality of delivery for customers and acquiring assets through the downturn in the subsea market. Rovop’s stability and growth, through both the strong market and the industry downturn. It is a tribute to them that as they hand on their roles Rovop is in such a strong position.